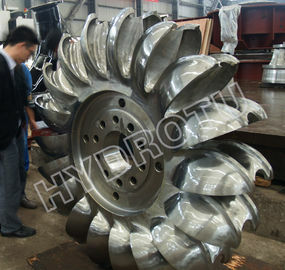 The Pelton turbine is widely used in hydropower station with the heads from 80-1600m. Pelton turbine is consisted of runner, turbine case, nozzles assembly, inlet pipe, deflector etc. The runner is assembled in the shaft of the generator, torque transmission by ping. .lt utilizes the dynamic power of high pressure water flow to rotate the runner and force the rotor work, The centre line of the jet is in the same plane as the runner while rotating. Pelton turbine has the advantages of compact construction, stable running and easy operation. Normally, Small pelton turbine always arranged with horizontal shaft and one or two nozzles, Medium size and larger Pelton turbines are most often arranged with vertical shaft, and equip four or six nozzles to obtain more power. This machine is horizontal shaft Pelton turbine with two nozzles and single runner. It is consisted of rotator part, main body of turbine, bearing assembly, nozzles assembly, conduit part, deflector control mechanism etc. the unit uses two-fulcrum structure. 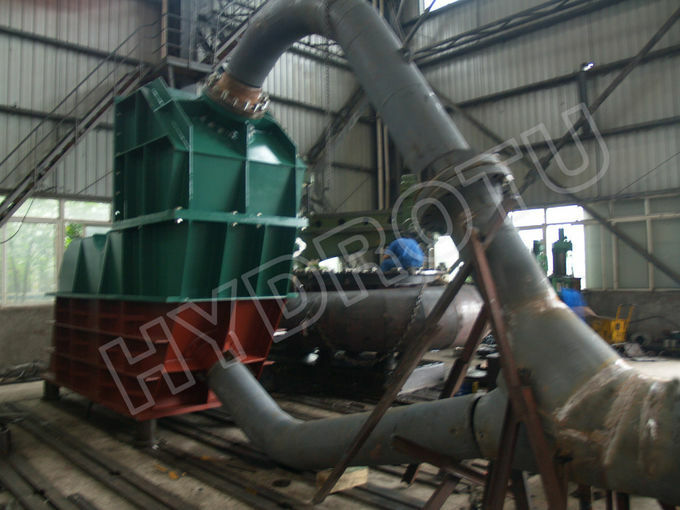 The runner is assembled in the shaft of the generator, torque transmission by ping, nozzle pipe is supported by case, and there is a bend before nozzle pipe, expansion joint and inlet valve. There is deflector assembled in the nozzle pipe, the needle server-motor connected with needle stem, deflector and needle is controlled by the governor separately. If you are interested in the Pelton turbine, you should send some key parameters (such as net head, flow discharge, unit number, frequency, voltage) in inquiry. 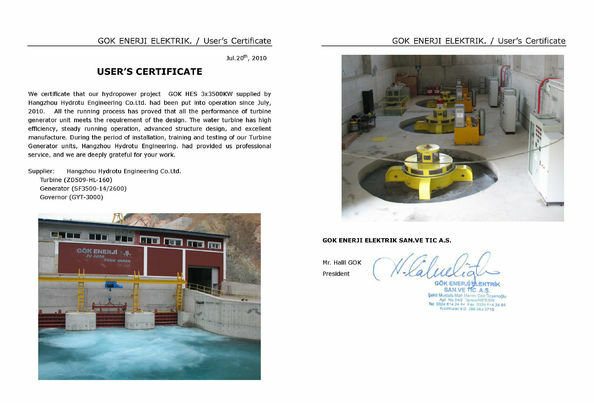 We can supply pelton turbine generator above 500KW, supply the runner with Forge and CNC machine, or runner with cast abrading machine for your require. The Pelton runner casted entirely by further process of whole grinding is normal way in history. Nowadays, we could provide another way with CNC machining on specific area to ensure the followed grinding met the profile accurately, the quality is ensured and the cost will be decreased at the same time. 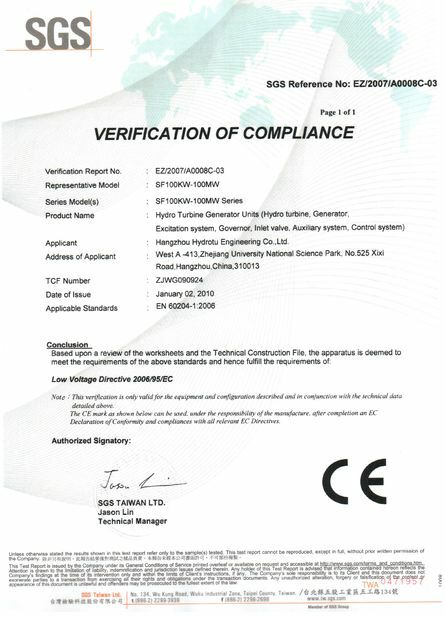 our factory have advanced test system, all parts have ultrasonic testing, penetration testing, magnetic testing, radiographic testing, dimension&profile checking by measuring arm, to guarantee our turbine best quality.